At Herlihy Mayflower, we love referrals from satisfied customers! Recently, we helped Melissa H. called us for help with a local move in Stoutsville, Ohio based on the recommendation of friends. 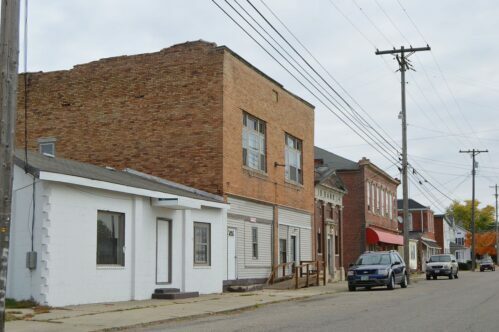 A village of about 600 in Fairfield County, Ohio, Stoutsville is about 31 miles south of Columbus. Students in Stoutsville attend Amanda Clearcreek Local Schools. After our moving team had finished unloading Melissa’s furniture and other belongings at her new home in Stoutsville, she wrote to tell us how pleased she was with the team’s punctuality, courtesy and efficiency. “They were great!” she said. We appreciate your business and kind words, Melissa. We wish you all the best in your new Stoutsville home. Looking for a professional, reliable moving company serving Stoutsville, Ohio? Contact us today to experience the Herlihy Moving & Storage difference. As one of Ohio’s oldest moving companies, we have moved thousands of families and businesses within Ohio, across the United States, and around the world. We’re BBB accredited and Angie’s List approved. And, as a locally owned and top-rated agent of Mayflower Moving serving Chillicothe, Athens, and Columbus, Ohio, we have the resources to move you, no matter where you need to go.